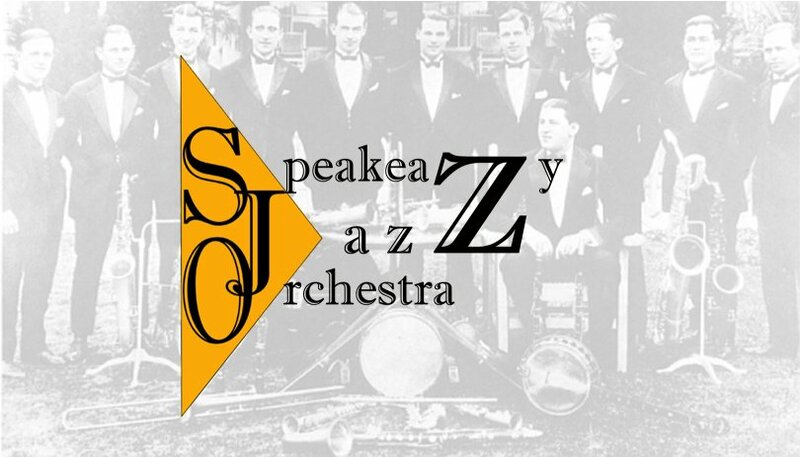 The Speakeazy Jazz Orchestra, a 12-piece dance orchestra in the style of famous 1920's hotel bands, was formed in 2008 and features some of the area's top local and professional musicians. Organizing and leading the band are Steve and Jeff Chambers who are both former (and charter) members of world famous Royal Society Jazz Orchestra (RSJO). Steve continues to lead the South Bay Swing Band, a 19 piece Bay Area big band that has made 7 appearances on the main stage at Gilroy's Garlic Festival. The Orchestra (SJO) is available for all types of engagements. We were a featured band at Kennedy Mine's "Minestock", a "Tea Dance" at the American Legion Hall in Jackson, two appearances for the Sacramento Traditional Jazz Society at the Dante Club in Sacramento, Sutter Creek's Mardi Gras, Preston Castle Foundation's Wine Tour, and most recently Ironstone Vineyard's Concours d' Elegance. SJO features many tunes from the 1920's and 30's era as well as performing other dance styles such as rumbas, tangos, cha-chas, waltzes, etc. Our dance and dinner sets contain a wonderful variety of these styles. SJO features two looks for the band. Tuxedos are worn for formal occasions. For semi-formal or informal occasions (special shows or semi-formal appearances), our uniform consists of black slacks and shoes, white shirt, silver/black vests, and a black flat cap. Call us for further information, references, and our very reasonable rates!